I’ve previous reviewed books in this series, having already read and reviewed book 1-3. These latest book books have some new and some old characters in it. Book 4 starts with a new lead character, Nilda. When the evacuation is announced she decides to stay in her small town with her son. The start of this book would feel a little rushed and a little glossed over if you hadn’t read the previous books. There’s not a lot of depth and detail around the events leading up to the evacuation but as part of a series I guess that doesn’t matter too much. I think you could also read this as a standalone book too. It’s a really good book with likeable characters and enough depth to the main characters. It features mainly on Nilda and along the way she meets up with a few characters from the other books in the series. You feel that Nilda is believable in her thoughts and actions and that the resources available to her are believable. Too many books I have read, have main characters that just happen to have a bazooka in their back garden! Book 5 follows on nicely where 4 leaves off. I won’t do any spoilers, but as the title suggests, there is a reunion. The newer characters from book 4 meet up and so do some from the previous books as they move towards London. I really like this series. I like the fact that it’s set in the UK which makes it completely different from the multitude of zombie apocalypse books set in North America. There’s a more claustrophobic feel and it’s not all gung-ho guns! I’ve just spotted that book 6 is now out, so I’d better crack on with reading my current book and get it downloaded onto my Kindle! OK, I admit it. This isn’t a zombie book but it IS a post-apocalyptic book. There aren’t any zombies in it, but the landscape is similar and to be honest the humans are as bad as zombies in most zombie books. 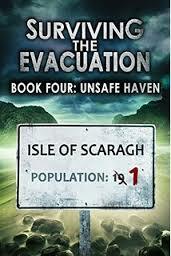 This book is set about 5 years after a virus has wiped out virtually all of the population. The book is centred around a boy, who is around 15. His parents died during the outbreak and he has been pretty much alone since. He spends his days wandering around his hometown. No information about where the town is, or his exact age, or his name is given. It;s clearly the UK, but could be any city/town. It all adds to the feeling that the world we know ended 5 years ago. It really sets the scene to say that anything that happened before just doesn’t matter anymore. Oer the years of living alone and wandering through his town he has become very used to his existence and almost scared of change. The routine is probably what keeps him going and keeps him sane. Something happens that jolts him out of this, erm I was going to say ‘cosy existence’ but that’s clearly not right in a post-apocalyptic world… anyway, something happens that has the potential to completely change his existence, if he follows it. After 5 years of being alone in his own little (dead) world that could be quite a wrench. I really liked this book and I had to admit I only spent 99p on it. Very well worth this tiny sum of money! OK, I’ve read all 3 books so it can’t have been too bad? Yeah, actually that’s about right. The first book starts quite slow really and is based on the diary of Bill. As the outbreak, which started in New York, escalates and Britain is quarranined, Bill breaks his leg and is confined to his home. At first he has regular contact with the outside world via his friend Jennifer who is an MP. Then the evacuation starts and he is alone. Then the power goes out and the streets start to fill with zombies. He realises that he must leave as soons as his cast can come off. I hope I’m not spoiling too much by saying that he does leave his house, otherwise there wouldn’t really be books2 and 3…. It’s a series of books that is really easy to get along with as it’s based around a fairly small cast. Bill’s quite troubled (I won’t say why) but he’s quite a likeable character. Kim’s pretty ballsy and it’s not that unusual to have children in a zombie book, but these books include a baby too. Quite cool when you consider how much noise a baby makes! This review is for all three books and I have to say the writing is strong throughout and I found myself wanting to know what was going to happen next. There’s a few twists in there but theywould be complete spoilers if I mention any of them. I did find one of the twists a little bit hard to swallow, but went with it and the extra character fitted well. I would deffo recommend it. Such good value too! Another book from the Zombie Book of the Month list. I’d never come across it, but the blurb online sounded quite unusual so I thought I’d give it a go. Wow, I’m so glad I did. 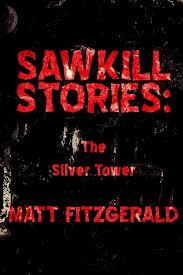 What a great book and a more unusual take on a zombie novel. 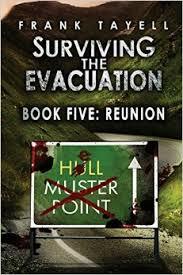 The book starts off 50 years on from the Zombie Uprising. The USA has started to recover well and the cities are thriving again. Outside of the cities it’s still a different story. In 50 years, the zombies haven’t died, they have continued to mill around. Some of these small towns still collect zombies and have their own local zombie games. Edward is rounded up by a couple of these ‘collectors’. The last thing Edwards remembers is a BBQ on the 4th of July and a zombie attack on his family. He has no memories of the last 50 years, but he can now think and talk and feel. Some people react to him with horror, after all, he is still a zombies and a talking zombie is even more scary. Some want to capture him and experiment on him and try to turn him into a weapon. Whereas some people are simply curious and can see the human behind the zombie. It really is a well-written story with well-rounded and interesting characters. As the book progresses, Edward’s story unfolds and he build relationships with many of the key characters. There’s also plenty of action, as there is a race across country when he goes on the run. 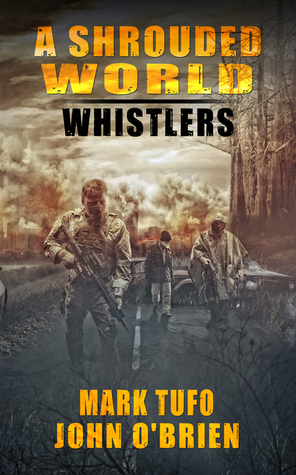 If you are a bit bored with the plethora of run of the mill zombies books and want something a little bit different, then this is the book for you – enjoy! 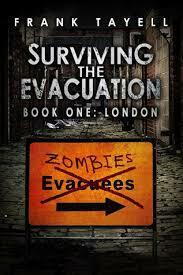 I’ve just realised that I haven’t posted a review of one of my favourite books – World War Z. 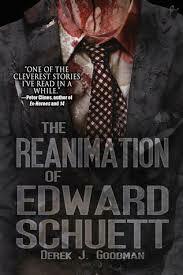 This isn’t just one of my favourite zombie books, but actually one of my favourite books. Now this year there has been more information out about the film and it appears that it doesn’t really follow the book that well. The reviews have also started to come out now and they seem a bit mixed, although I’d say they are probably more towards positive rather than negative. I’m terrible – if I’ve read the book and liked the book then I’m usually disappointed with the film. 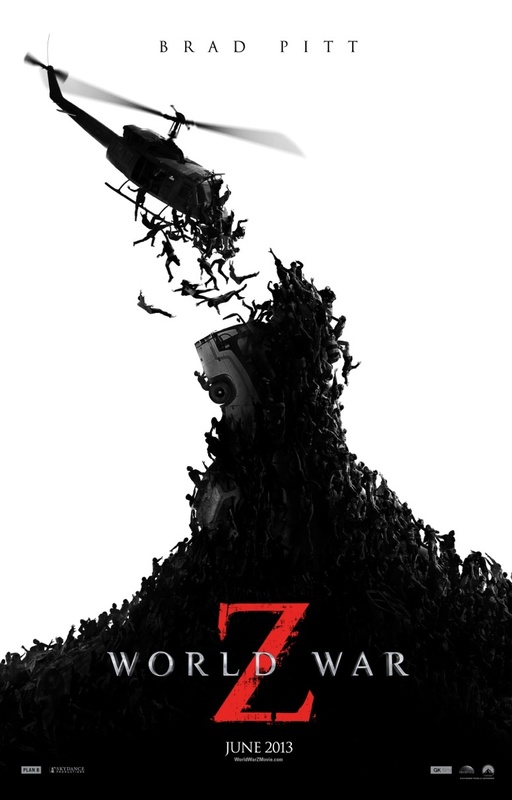 I love the World War Z trailers and I love the way the zombies are seen racing along like cockroaches. I really hope I like the film too. I was all set for going and watching it on opening night here in the UK but just realised to due to other commitments I won’t be able to go and see it until next week. Can I hold out that long?? ?